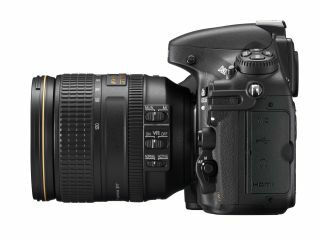 The Nikon D800 has finally been released onto the expectant public today, and the good news for the company is that it seems to be sold out almost everywhere. We rang around the major retailers to find out who's got them, and when the next batches of stock are expected. Amazon UK is listing the D800 for pre-order again as it has taken all the orders it can fulfil as per its allocation. Currently, the listing says that Amazon will continue to take pre-orders that will be fulfilled as more stock arrives. Jessops says that it hasn't had any stock of the Nikon D800 in for new customers, or for those who have pre-ordered. It expects stock to be allocated by the middle of April. WEX says that some D800s are coming in today, but are all allocated on a first come, first served basis to those who have pre-ordered the stock, but is expecting more to come in next week. D800s are due to arrive at Park Cameras "late March", or "any day now", but once again they are all taken up by those pre-ordering the camera. It expects a second wave of cameras to be supplied next week so anyone pre-ordering now might stand a chance of getting hold of one. Gray's says it's got some D800s coming in today, there are 350 people on its list of pre-orders, but it won't have enough to supply everybody on it. It hopes to receive more cameras in the next couple of weeks. Several back orders need to be fulfilled by Digital Depot, which will hopefully happen by the end of the week. More cameras will be coming in smaller batches in the next few weeks. CameraWorld is hoping to receive stock of the D800 today, but it is unsure of how many it will receive, so it's not sure if it will be able to fulfil its pre-orders. Again, it is hoping for more in the next couple of weeks.